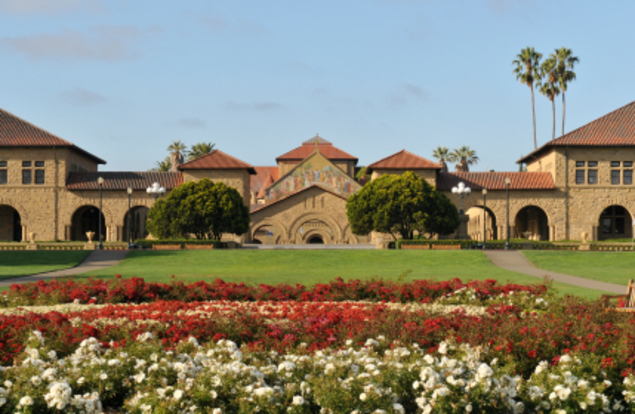 College Magazine ranks Stanford University as the college with the toughest admissions application. College applications are ominous enough – but many colleges take the challenge of trying to gain admittance to a whole new level. Some of the most prestigious colleges in the country weed out students before they even attempt to get into the school. They do so by requiring multiple essays, additional SAT subject test scores and mid-year reports to ensure students are keeping their grades consistent with the GPA they presented on their initial application. It’s not easy – and the top colleges in the country want it that way. It’s sort of like a peek into the rigor of the school itself. So what does it take to complete some of these college applications? 1. Dedication We’re not talking general dedication here. Obviously, it takes dedication to get into one of the top colleges in the country. Applicants to these colleges can expect to spend weeks – if not months – on their applications. Just like other schools, standardized test scores are part of the application process, but these colleges also ask for standardized subject test scores too. And they don’t stop there. The most time-consuming components of these applications are the essays – yes, multiple essays. For example, Stanford requires ELEVEN 50-word written responses to a variety of essay-like questions. Caltech asks for seven, according to College Magazine. 2. Creativity Given the essay requirements above, it’s just as necessary that applicants show creativity in addition to amazing grades and near-perfect test scores. As admissions officers read these essays, they’re not just looking for perfect formulaic writing and punctuation. They’re looking for students that really stand out from their peers. The University of Chicago asks current students to come up with essay prompts for incoming applicants. One student asked applicants: “Joan of Arkansas. Queen Elizabeth Cady Stanton. Babe Ruth Bader Ginsburg. Mash up a historical figure with a new time period, environment, location, or occupation, and tell us their story,” states College Magazine. 3. Devotion Students don’t just simply apply to Stanford or Brown – unless you’re one of those whiz kids that excels in the classroom naturally and knocks the SAT out of the park without even studying. Rather, applicants prepare for years ahead of time. When Tufts University asks, “Why Tufts?” on the application, these students know – because they’ve been preparing for this since seventh grade, the school provides a track for their path in life or it’s where every member of their family attended for the last 100 years. Whether it’s commitment to a specific school or an idea, students have put a lot of thought into this process before there was ever access to an application. It isn’t just a whim to apply; it’s a goal. And it’s not for the faint of heart. Fortunately, laborious applications are reserved for some of the most difficult schools in the country. In most cases, colleges are actually trying to make it easier to apply. They take part in the Common App, allowing you to apply to multiple schools with one application. Instead of crafting custom essays, many schools allow you to submit an essay or paper from one of your high school courses. One college is taking easy applications to a whole new level by asking applicants to simply submit a video essay. Goucher College, a small school outside of Baltimore, is no longer requiring transcripts or test scores. Instead, applicants need only submit a two-minute video explaining why they would be a great fit at Goucher, as reported by the Washington Post. As you can see, the admissions process is as simple – or as hard – as you want it to be, in a way. If you want to get into one of the top colleges in the country, expect a long, arduous application road. But if you’re not looking to add any further stress to what is an already demanding task, consider one of the other hundreds of amazing schools with an easier application route. Or – simply press record for two minutes. Whichever way you go, best of luck. You’ve got this!